up lens and down lens can installed different kind of lens. 3.Usage area all public place where allowed for fireworks,such as entertainment site, travel site,public site,public celebrate site. 4.hot sell model suitable for celebration and festival,also popular use as giveaway. 1.) 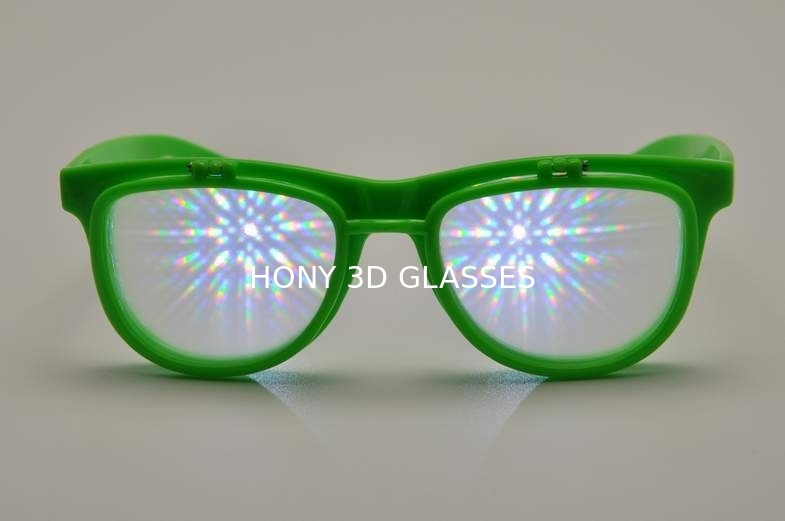 fixed frame lenses are clear PMMAlens, up frame lenses are rainbow lenses. Frame colors: black, white, plum, green, blue, yellow, transparent red, transparent purple. Also can make different colors as customers’ requirements, need pantone number. Colors not in our stock, one color MOQ 1200pcs. 2.) fixed frame lenses are sunglasses lenses, up frame lenses are rainbow lenses. Frame colors: black, white, plum, green,blue, yellow, transparent red, transparent purple. Frame colors: black, white, green, yellow, plum, transparent red, transparent purple.